24V DC 2A 48W switching power supply is easy to install, din rail mounting and it is safe and stable in use, protecting against overload, overvoltage and overtemperature, suitable for the power tools, industrial equipment and electrical equipment. 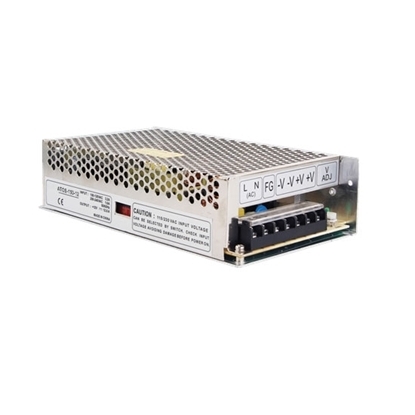 This 150W switching power supply converting to 12V DC, rated current 12.5A has a wide applications such as LED light strips, computers, printers, TV, radio, electric saw, drilling machines, air compressors, vehicle and so on. Brand New, high price-effective and reliability. 12V DC 16.5A 200W Switching Power Supply(SMPS) is available with low price and high quality. It is a great SMPS to keep the output voltage stable, and due to its high reliability it is widely used at household appliance and industrial equipment. 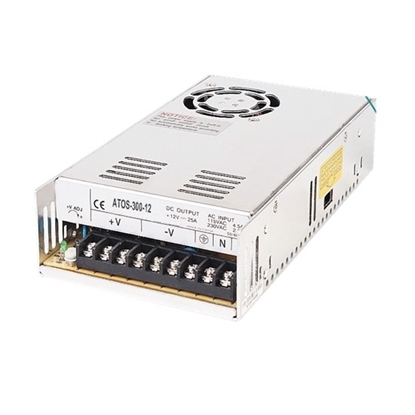 Low price and high quality switching power supply converts 115/230V AC to 12V DC in a stable state at the rated power of 300W and rated current of 25A. It has built-in protections of short circuit, overload and overvoltage, make it safe to use in lots of electrical equipment or devices. 12V switching power supply converts AC to DC, working at rated current of 4.2A and rated power of 50W. It has short circuit and overload protection, making it high reliabiity in the household appliance and industrial equipment. Note 1. All parameters NOT specially mentioned are measured at 230V AC input, rated load and 25°C of ambient temperature. 3. Tolerance includes set up tolerance, line regulation and load regulation. 4. The switching power supply is considered a component which will be installed into final equipment. Please make sure that the final equipment still meets EMC directives. Switching power supply works at an efficiency of over 80%. When making a selection of output current, users shall measure and calculate maximum sock current of electric equipment to ensure higher cost-performance ratio of selected switching power supply. In comparison with linear power supply, switching power supply generates more noise. Electric devices which are sensitive to common mode noise shall use ground connection or adopt shield measures. Measures applied to switching power supply must comply with EMC standard. Therefore, switching power supply is often equipped with EMC electromagnetic compatible filter. 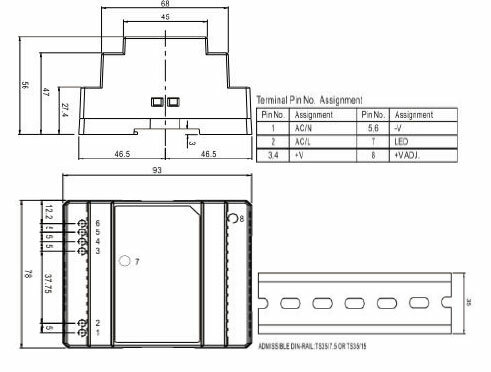 For example, switching power supply produced by ATO connects its FG terminal to ground or shell to meet foresaid requirement for electromagnetic compatibility. Switching power supply must be provided with overvoltage protection, overheat protection and short circuit protection features.